Okay, here we go! 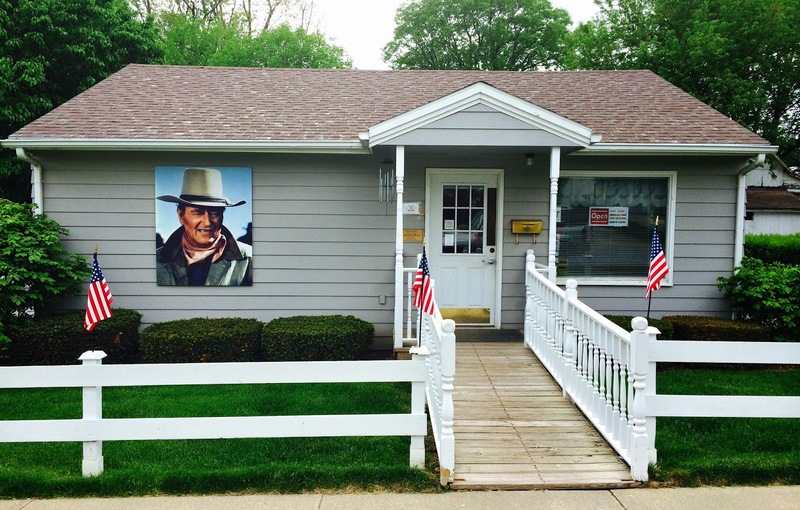 This is the big John Wayne Birthday Celebration weekend, and you’ve probably seen the schedule of events in a few places, but I’ll share it again here because that’s what I do. And, I’ll add some details that Brian Downes and Wayne Davis have shared in the last few days. If you keep your eyes open this weekend as you’re out and about, there’s a good chance of a celebrity sighting! extended hours this weekend of 9:00 to 5:00 on Friday, 9:00 to 5:00 on Saturday, and 10:00 to 4:30 on Sunday. I’ll believe they’ll be back to their regular hours of 10:00 to 4:30 on Monday as well, if you happen to have guests here for Memorial Day. The tours depart from the Welcome Center next to the Birthplace. The John Wayne movie “The Searchers” will have free showings on Friday, Saturday, and Sunday at 10:00 at the Iowa Theater. 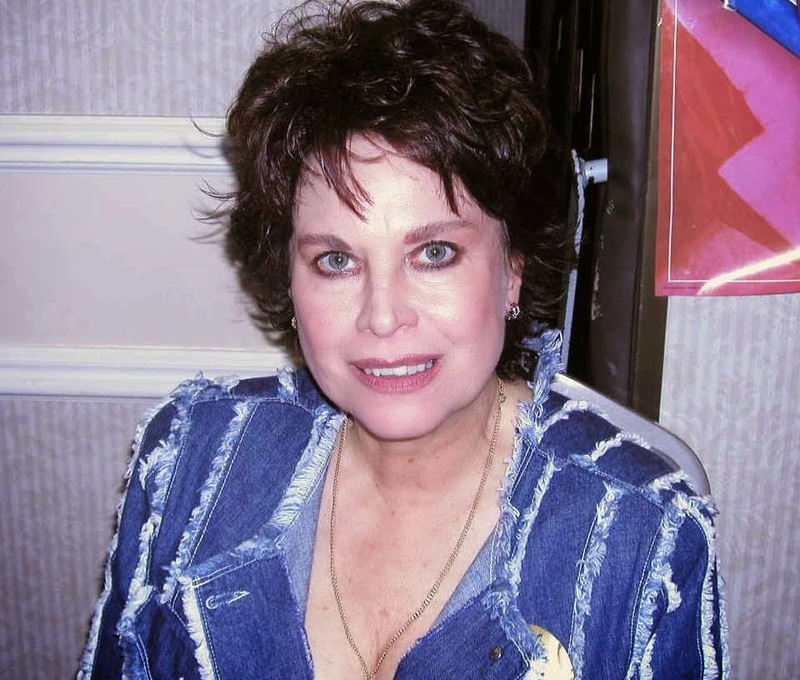 This is the one that featured Lana Wood, one of our special guests this weekend, as the younger Debbie Edwards. It is also regarded as one of John Wayne’s finest performances, and one the best western movies of all time. New York Times best-selling author Glenn Frankel, who wrote “The Searchers: The Making of an American Legend,” will be at the theater to introduce this movie at 10:00 on Saturday and Sunday. Free showings of “The Man Who Shot Liberty Valance” at 4:00 on all three days as well, again at the Iowa Theater. You can see Cowboy Mounted Shooters, an equestrian sport in which riders compete in a fast action timed event using .45 caliber single action revolvers loaded with special blank ammunition, at 1:00 on Saturday and 10:00 on Sunday at the Madison County Fairgrounds. For a glimpse of what this activity looks like, click here. I think the kids would love it! events happening only on Friday evening. 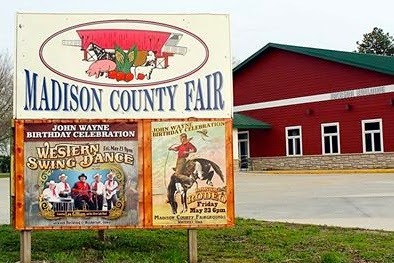 At 6:00 pm on Friday there’s the John Wayne Birthday Celebration Rodeo at the Madison County Fairgrounds, followed by a Western Swing Dance at 9:00. The rodeo is not the kind you may think of with fireworks and rock music. Instead, this is Ranch Rodeo, the kind that used to happen on the ranch where rodeo was born. For example, there are events such as “wild cow milking,” which is done with a beer bottle: Whoever gets the most milk in the bottle is the winner. “This is more traditional, the roots of rodeo,” explained Brian Downes. “It’s pretty rough and tumble!” The Western Swing Dance at 9:00 will feature music by Les Gilliam and his Silver Lake Band, back by popular demand. Tickets to each event are available at the gate at the Fairgrounds, for $15.00 each, or $25.00 for a ticket to both events. Word has it there will be another musical guest at the Western Swing Dance too…. more on that in a moment! At 9:00, the John Wayne Birthplace 5K Run/Walk departs from the Birthplace lot at 216 S. 2nd Street. Registration is between 7:30 and 8:45. For more information, look here or visit with resident runner Bob Kaldenberg. The Madison County Chamber has a number of very knowledgeable tour guides, and they are offering guided tours of the Covered Bridges at 10:00 and 2:00 on Saturday. 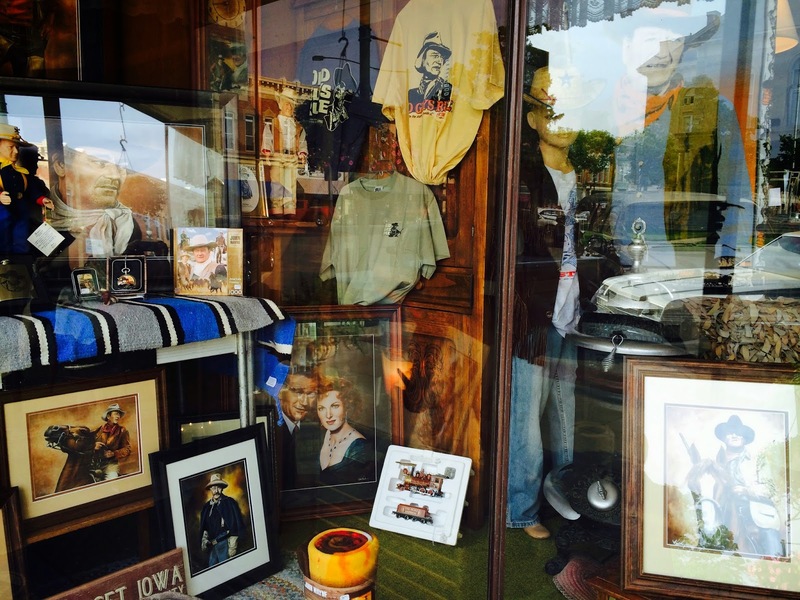 At 5:00 p.m. on Saturday evening, doors will open for the big event at the Madison County Historical Complex: the John Wayne Birthplace Museum Benefit Dinner, 2014. Social hour will be followed by a dinner of beef brisket, cheesy potatoes, baked beans, tossed salad, dessert and beverages. Special guests will include actress Lana Wood, who will speak at the event, John Wayne’s daughter Aissa Wayne, who will host the auction, and John Wayne’s granddaughter Jennifer Wayne (of recent Amazing Race fame) and her singing partner Kaley Caperton, accompanied by guitarist Jason Fletcher. Tickets for this event are recommended in advance, and can be purchased right here or at the museum. benefit dinner and can be seen afterward at the Little Dublin Irish Pub. 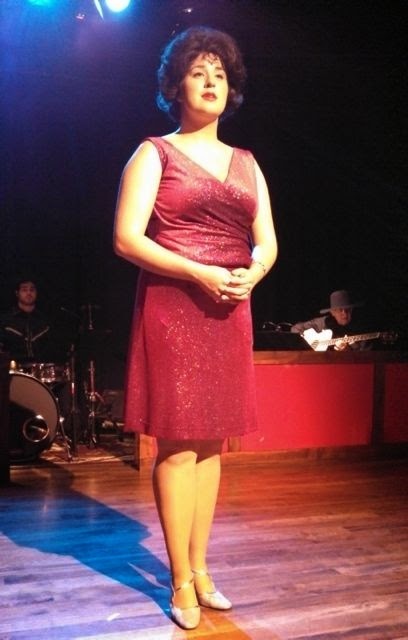 Finally, don’t forget that this is also the last weekend for “Always… Patsy Cline” at The Winterset Stage, a show that fits right in with the Western theme of the weekend. Katelyn Renze as Patsy Cline sings at least 27 of her songs in this show that has been a fantastic opener for the first Main Stage season at the new theater. Tickets to the show are available here. The final two performances are Friday and Saturday night at 7:00. We will miss you, Patsy! and all the special guests who are coming to Winterset this weekend to add to our celebration. Thank you also to the weather, for looking like this through Saturday, at least. And finally, thanks for reading The Winterset Citizen. There will be more about local Memorial Day events in an upcoming post. Please subscribe by e-mail right here and don’t miss it. It’s free!